One of the reasons the St. Louis Cardinals have a large regional following was the team’s radio broadcasts on KMOX, a clear channel station, which means at night the signal did not compete with other stations and was picked up hundreds of miles away. In the 1930s, KMOX began a relationship with the team and by the 1950s it became the flagship station of Cardinals baseball. Radio and baseball had a rather unique relationship. It was not uncommon to hear Vin Scully’s voice at Los Angeles Dodgers home games in the 1960s as people brought transistor radios to the game to listen to Scully describe what they were seeing live in the stadium. 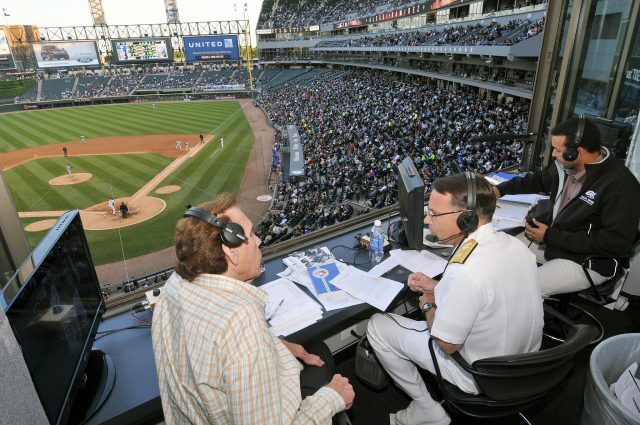 Culumus, which owns 446 radio stations across the United States, wants to get out of its deal with the Chicago White Sox and has asked a bankruptcy judge to allow the cash strapped business to get out of extremely unprofitable contracts including the White Sox deal. Radio stations used to bid for baseball teams and would be willing to pay big dollars for it. Baseball was first heard on KDKA in Pittsburgh in 1921 but baseball owners did not trust the then new medium because they felt if they gave the product away for nothing, people would not come to the parks. In the 1930s, that thinking began to change. Larry McPhail sold a piece of the Cincinnati Reds to WLW radio station owner Powell Crosley and suddenly Cincinnati Reds games were on WLW. McPhail was able to promote his Reds and Powell had programming that gave a boost to WLW’s ratings. It was one of the reasons to this day that the Reds franchise is a regional team. White Sox baseball is too costly for Cumulus and has to go. Baseball and radio have a finance problem.